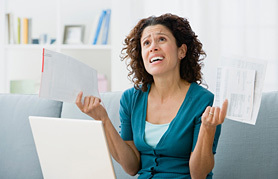 Bankruptcy is a method for individuals and businesses to eliminate or repay their debts. While filing for bankruptcy is a very serious financial decision, it can be a useful option for people who might otherwise feel trapped in debt, with no way out. While bankruptcy can free a debtor from financial obligations, it cannot be used to eliminate all forms of debt. Alimony, child support, most tax-related debt and most student loan debt must be repaid. There are two main categories of bankruptcy  liquidation and reorganization  and there are four ways to file for bankruptcy: Chapter 7, Chapter11, Chapter 12 and Chapter 13. Individuals usually file for Chapter 7 or Chapter 13. The following sections summarize the different types of bankruptcy. For more detailed bankruptcy information, click on any of the links below. The bankruptcy process begins when either a debtor or a creditor initiates a bankruptcy proceeding. When a bankruptcy request is filed, the court issues an "automatic stay," which stops creditors from attempting to collect the money they are owed outside the official proceeding; it also forbids the person filing for bankruptcy from transferring any property that is included in the bankruptcy proceeding. Shortly thereafter, the court sends the debtor a notice to inform him that he is eligible to file for bankruptcy. This notice lists what documents, if any, the debtor must bring to his "341 meeting of creditors." At this meeting, the court-appointed trustee reviews the documents (bank statements, tax returns, pay check stubs, vehicle titles, etc.) and the bankruptcy petition and interviews the debtor. Following the 341 meeting, the property included in the proceeding may or may not be divided among the creditors, depending on which form of bankruptcy is filed. Before qualifying debts are lifted (known as a "discharge"), the person filing for bankruptcy must complete a money management course. There are four types of bankruptcy proceedings: Chapter 7, Chapter 11, Chapter 12 and Chapter 13. Chapter 12 applies only to family-owned farms. While each of the remaining forms of bankruptcy has its own benefits and drawbacks, Chapter 7 and Chapter 13 are filed far more often than Chapter 11. Chapter 7 bankruptcy is the only form of "liquidation" bankruptcy. It is also the most popular type of personal bankruptcy. When a Chapter 7 proceeding is filed, the court appoints a trustee to collect any property belonging to the debtor that is eligible for collection under bankruptcy guidelines. The trustee then liquidates (sells) the property, and the money from the sale is divided among any creditors who hold the unsecured debts of the person filing for bankruptcy. In return, the debtor's unsecured debts (debts where no collateral is put up; for example, credit card debt) are erased. The creditors holding secured debt, such as a mortgage, do not share in these payments. As a result, this debt is not erased. The debtor has three options regarding secured debt: continue making payments; allow the creditor to repossess the property put up as collateral; or pay the creditor an amount equal to the current value of the property. In contrast to Chapter 7 bankruptcy, Chapter 13 bankruptcy lets debtors keep their property and use earnings to pay off their debt, over a period of three to five years. Chapter 13 is known as "wage earner" bankruptcy because the person filing has to have a stable source of income that can be used to pay off a portion of his or her debt. Chapter 11 bankruptcy differs from Chapter 7 and Chapter 13 in that it allows individuals and businesses to hold onto assets while attempting to reorganize their finances. The vast majority of Chapter 11 cases are filed by businesses whose debts exceed the limits imposed by the federal government for Chapter 13. Although Chapter 11 bankruptcy is available to individuals, few choose this option because it takes time and is very expensive. The filing fee alone is $1,000, and attorney fees can run into the tens of thousands. Typically, only those individuals with very large secured debts  such as mortgages exceeding $1 million  file for Chapter 11 bankruptcy. Chapter 12 bankruptcy applies only to family farms. It is similar to Chapter 13 bankruptcy but with higher limits to account for the large debt farmers often incur. In 2005, the President signed into law bankruptcy reforms that had a dramatic effect on personal bankruptcy cases. Under old bankruptcy rules, most people were allowed to choose which type of bankruptcy they wanted to file; the majority chose Chapter 7 (liquidation) instead of Chapter 13 (repayment). With the passage of The Bankruptcy Prevention and Consumer Protection Act, high-income filers now must pay some of their debt under Chapter 13. In addition, people filing for bankruptcy must complete credit counseling and financial education before being discharged from debt. The main difference between Chapter 7 bankruptcy and Chapter 13 bankruptcy is that Chapter 7 bankruptcy lets you avoid paying off certain forms of debt, while Chapter 13 bankruptcy does not. New bankruptcy rules determine who can or cannot file for Chapter 7 bankruptcy. Can retirement assets be pursued by creditors? In most cases, no. As a result of The Bankruptcy Prevention and Consumer Protection Act and the Supreme Court's ruling on Rousey v. Jacoway (both in 2005), most retirement assets are now protected. For more information, contact a qualified bankruptcy lawyer. How do the new bankruptcy laws affect me? Recent legislation affects everyone considering bankruptcy. People with higher incomes are no longer able to file for Chapter 7 bankruptcy, which means that they have to repay some of their debt under Chapter 13. This depends on many factors. Filing for bankruptcy is a serious step that has consequences. To determine if bankruptcy is the right option for you, visit our page on bankruptcy alternatives. Examples of property that are exempt from Chapter 7 liquidation include your car and your clothes. The trustee assigned to each case uses a formula to decide whether the debtor's home is exempt.